For Jaspers Events and Q-tracx we have provided several solutions for FNV events. 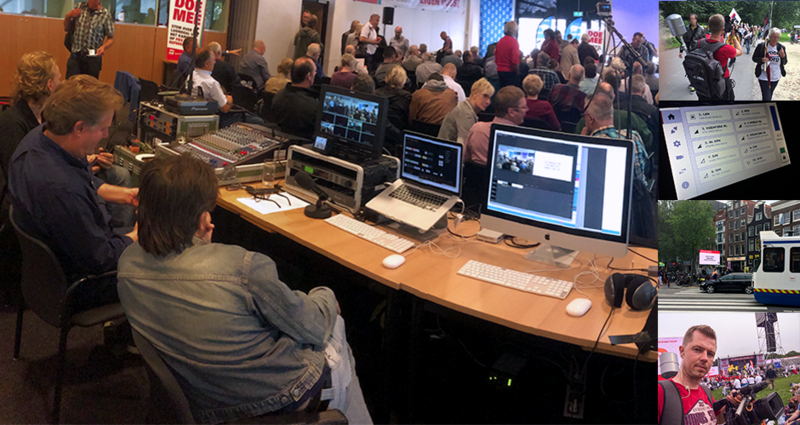 During a large demonstration we provided live video transmissions from Westerpark Amsterdam to 3 LED-walls in the city, and a wireless camera-signal from the center of Amsterdam back to the Westerpak. And a live webcast on account of a court decision about a wage agreement affecting 2,8 million people.